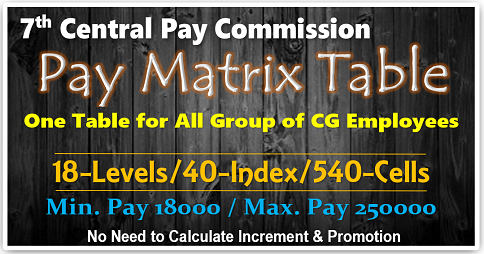 Increments in Pay Matrix.—The increment shall be as specified in the vertical Cells of the applicable Level in the Pay Matrix. Illustration: An employee in the Basic Pay of 32300 in Level 4 will move vertically down the same Level in the cells and on grant of increment, his basic pay will be 33300. Withholding Annual Increments of Non-performers after 20 Years : There is a widespread perception that increments as well as upward movement in the hierarchy happen as a matter of course. The perception is that grant of MACP, although subject to the employee attaining the laid down threshold of performance, is taken for granted. This Commission believes that employees who do not meet the laid down performance criterion should not be allowed to earn future annual increments. The Commission is therefore proposing withholding of annual increments in the case of those employees who are not able to meet the benchmark either for MACP or a regular promotion within the first 20 years of their service. 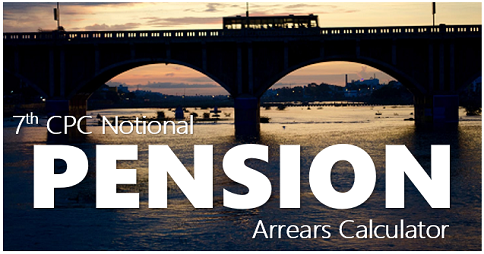 Grant of First Annual Increment in Recruits Pay : The main demand of the Services in this connection is that the existing stipulation that next increment will be granted from the date of attestation or mustering be done away with. They have pointed out that trades whose skill requirements are low and whose entry level qualifications are lower invariably get attested or mustered earlier and thus are entitled to the next annual increment earlier than trades whose training period is longer. Analysis and Recommendations : The Commission is of the view that grant of next increment in the case of recruits should not place those with higher entry level qualifications at a disadvantage. The Commission, accordingly recommends that the date of enrolment should be reckoned for the purposes of first increment for all recruits who are finally successfully attested/mustered. Needless to say that the most powerful keyword among the Central government employees, because a pay hike once in a year consolidated according to their basic pay. It is also a consolation even they are not getting promotion for years. 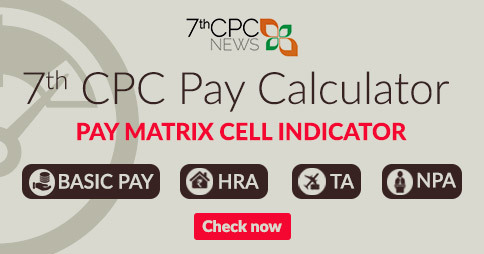 In 6th CPC tremendously modified in increment rules that the date of increment and rate of increment had been revised as first July of every year and 3% of basic pay. 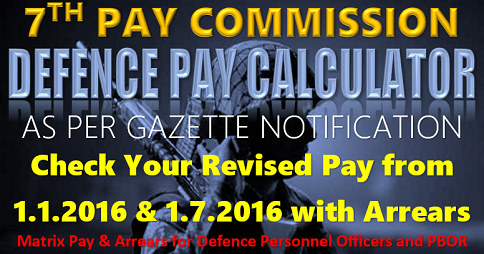 NC JCM Staff Side suggested to 7th Pay Commission on Increment. No. In fact the single date increment system has brought in anomalies, which were discussed at length at the National Anomaly Committee, without reaching an agreement. 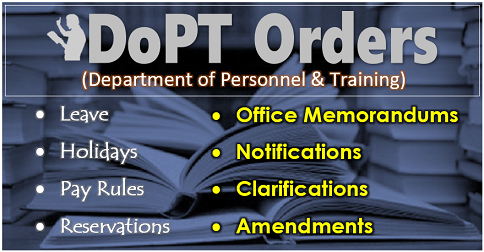 In our Opinion, the commission must recommend, for administrative expediency, two specific dates as increment dates. Viz. 1st January and 1st July. Those recruited/appointed/promoted during the period between 1st Jan and 30th June, will have their increment date on 1st January and those recruited/appointed/promoted between Ist July and 31st December will have it on Ist July next. This apart the Commission is required to specifically recommend that those who retire on 30th June or 31st December are granted one increment on the last day of their service. What should be the reasonable quantum of annual increment? The reasonable quantum of increment should not be less than 5% of the basic pay or the rate of increment agreed upon through bilateral discussion in the Banking industry, whichever is higher. Whether there should be a provision of variable increments at a rate higher than the normal annual increment in case of high achievers? If so, what should be transparent and objective parameters to assess high achievement, which could be uniformly applied across Central Government? Without defining the term “high achiever” and prescribing transparent and objective parameters to assess high achievement the system of variable increments at a rate higher than normal annual increments will be misused on subjective assessment of high achievements. For these reasons and for what we have stated in reply to question No. 2.3 the scheme of variable increment is not desirable. Annual rate of increment @ 5% of the pay. Fixation of pay on promotion = 2 increments and difference of pay between present and promotional posts (minimum Rs.3000). I promote on 15 june 2015 but financial upgrade optionally on 1st july 2015. when I will get increment 1st jan 2016 or 1st july 2016. 2. Pay fixation after increment on 1 july. 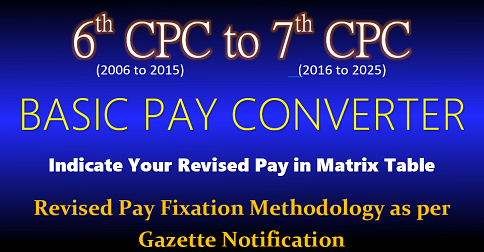 If you are upgraded as MACP on completion of 10 year without any promotion, from 27 Jun that day you are pay fixation with as advance increment in same matrix leve, so you are not given increment on that year, next year July your matrix level may be higher to next level. 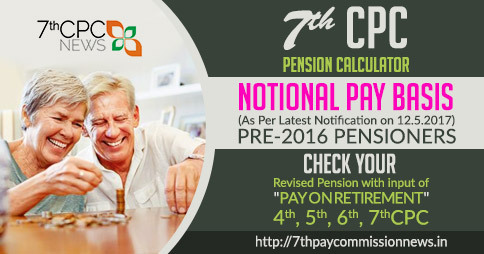 Otherwise the promotion is normal due to retirement/vacant post no monitory benefits only your next designation changes from that date i.e. 27 JUNE. 1st july 2019 or 1st jan 2020?? Annual increment allway given on completion of one year in the month of July only, so you will get increment on 1/7/2020..
Sir i joined on 24/04/2015. 1st july 2016 or 1st jan 2016?? 1/7/2016. Read Min. of Finance F.No.4-21/2017-IC/E.III(A) dt.31.7.2018.